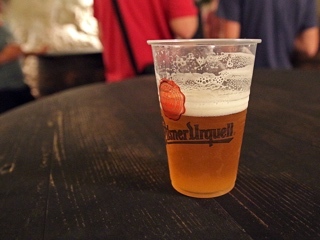 Taste the only and original Pilsner Urquell, the beer that gave name to most popular style of beer. The city of Pilsen (or Plzeň in Czech) more than 700 years old history, almost all important sites are concentrated in one place – the main historical centre: the monumental Gothic cathedral with the tallest spire in the Czech Republic, baroque and renaissance houses. The most important part of the city were two “factories” – Škoda Works, which became the most important and influential engineering company in the country and a main supplier of arms to the Austro-Hungarian Army. And the second is Pilsen Brewery that even today is the largest exporter of beer produced in the Czech Republic. On 6 May 1945, near the end of the Second World War, Plzeň was liberated from Nazis by the 16th Armored Division of General Patton’s 3rd Army. There is amazing museum dedicated to Americans very close to Great Synagogue, the second largest synagogue in Europe. Note: English tours run only few times per day, there is english guide but I can accompany you through the visit. Need to buy entrance tickets for the brewery and other museums.